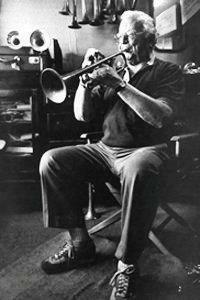 It is with great sadness that I have learned of the death of the great trumpeter Adolph Herseth. 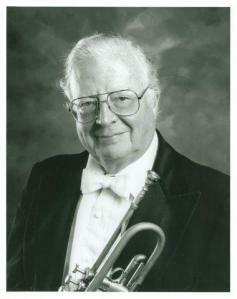 Principal Trumpet of the amazing Chicago Symphony Orchestra for 56 years. He passed away peacefully yesterday, aged 91. An inspiration to trumpeters the world over, he was regarded as the best all round orchestral trumpeter in the business, in the world. His flawless performances were incredible and such that the legendary tuba player sat just by him, Arnold Jacobs used to make it his hobby to count Herseth’s mistakes on an annual basis. Herseth never made enough mistakes for Jacobs to count more than the fingers of one hand. An astonishing player, the like of which we will never see again in my lifetime. 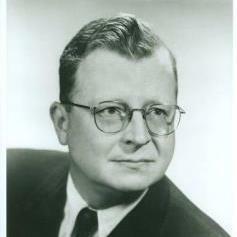 On this day of mourning, I know I speak for the members of the CSO trumpet section in offering our deepest condolences to the family of Adolph Herseth. 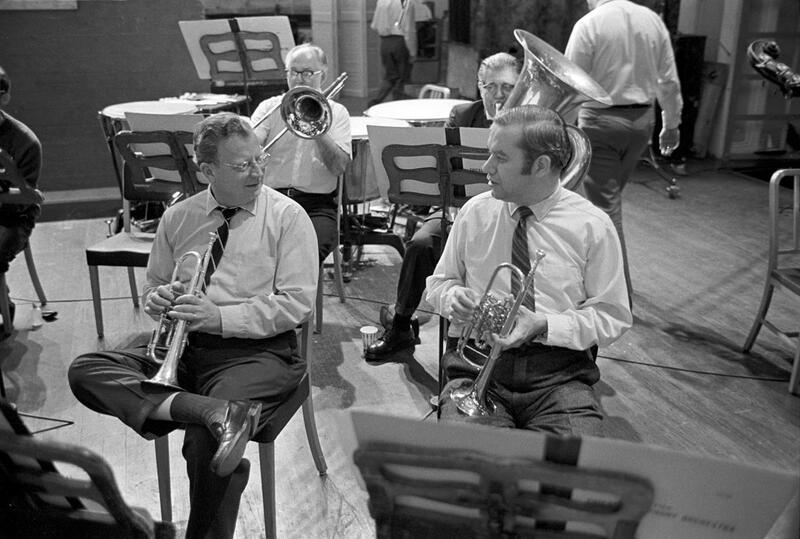 Bud’s impact on the music world was so monumental that every brass player alive surely has heard his brilliant, clear, inimitable tone and been changed by its clarion beauty. The astounding longevity of Bud’s 56 year career is only surpassed by the unfailingly high standard he upheld each and every day in the CSO. He was, as Daniel Barenboim aptly named him, a “pillar” of the CSO because his standard was not limited to merely equaling what he had done before but spurred on by the ideal of the excellence he could imagine. Bud combined that imagination with an unquestioning, unrelenting work ethic to do whatever it took to achieve his highest aspirations, and we have all been the fortunate beneficiaries over these 65 years. Through his thousands of concerts, multitude of iconic recordings, and i…nnumerable lessons and coachings, Bud had something else to teach us. It is a lesson he rarely spoke of but lived everyday: courageous sacrifice. Courage to go beyond the obvious requirements of what is expected, even if it’s more work for yourself and those around you, and a willingness to sacrifice what is comfortable and safe for something higher and perhaps unattainable. For Bud, of course, so much was attained and, in turn, given back to all. And perhaps this is one of Bud’s most important lessons: that in the end after so much work, after endless hours honing that perfect sonic blend of strength and beauty, after countless life-changing concerts, ovations, accolades and adulations, what mattered most was the simple act of giving. Giving of his best self, his wisdom, and his heart through music. 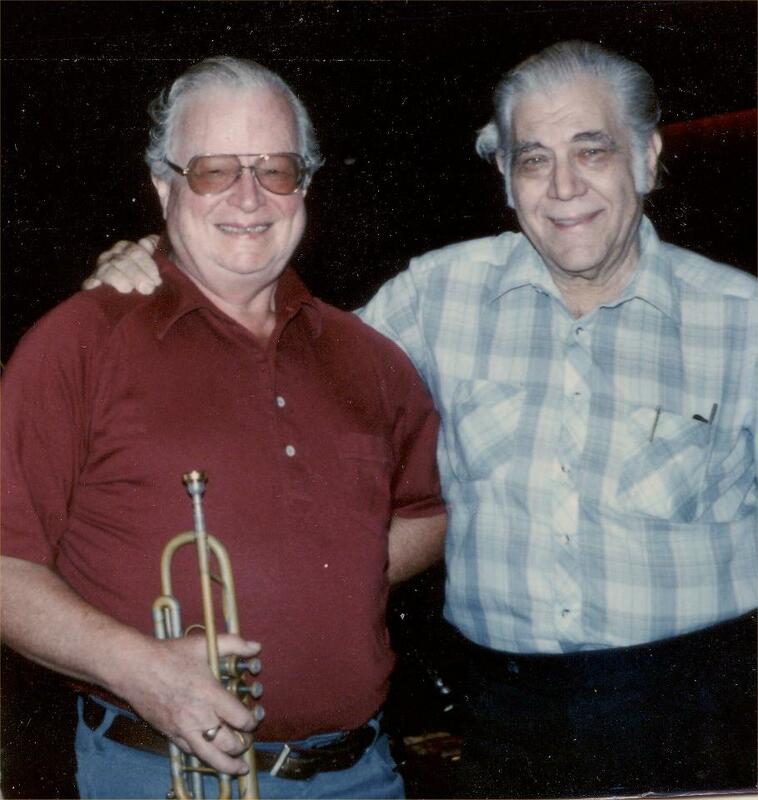 Bud spent his life in pursuit of a visionary level of trumpet artistry no one before him imagined existed and in so doing changed the course of music history. Bud said at the end of his career that he would have started it all over again if he could. The wonderful thing about the gift of music is that he can and he does. Each time a young trumpeter hears the Reiner Zarathustra or a Solti Pictures or Mahler 5 for the first time and realizes the expressive power of a trumpet, Bud starts over again. Each time the four of us in the CSO, or in any orchestral section, or in a military band, or in a brass quintet, or in a classroom of students decides to “give it our best every time we have the chance,” Bud starts over again. I know the CSO trumpet section feels, as Bud did, that we are all “lucky to be here,” and we share in the responsibility to try our best to uphold his legacy for the next generation. 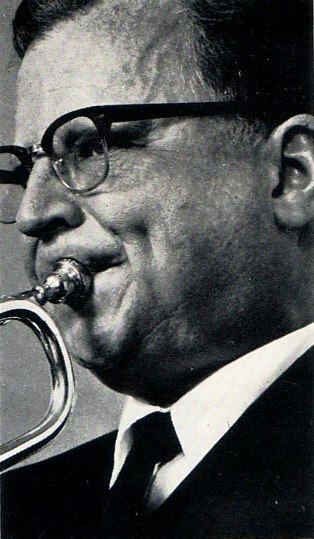 This entry was posted in The Trumpet o-iii<O and tagged Adolph, Adolph Herseth, Bud, Chris Martin Trumpet, Herseth, The great Adolph Herseth, Trumpet, Trumpeter. Bookmark the permalink.